Love it or hate it, DLC is here to stay, especially if it can pull in this kind of cheddar for the AAA publishers. EA is expected to pull in over $1 billion through additional content before the end of the year. Speaking to Bloomberg, a spokesperson for EA has stated the figure, largely in response to the impeding success of Madden 15. If the main game itself can raise the $350 million predicted by Analyst firm Cowen & Co, the EA will cruise to even larger success through additional purchases within the game. "The forecast is for sales of the game, retailing for about $60, and of the so-called extra content available online — the Ultimate Team players, jerseys, coaches, playbooks and stadiums that can make video-play close to the real thing. Some fans will spend more on the extras than the basic software." 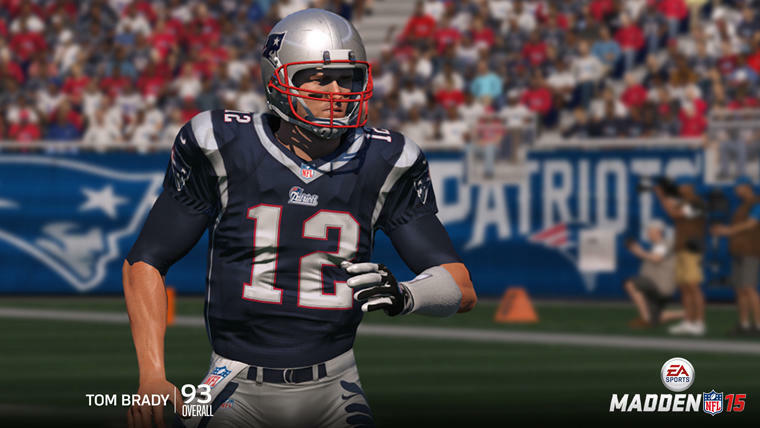 Another research firm, Longbow Research, has predicted that the "Madden Ultimate Team" alone will be able to bring in $50 million. While Madden itself will be a "major contributor," EA's other promising games like The Sims 4, Dragon Age: Inquisition with its recent announced multiplayer and the continuing success of Titanfall will also add to their figures. EA's sports line-up with FIFA 15 and NHL 15 won't hurt either.